Prune is a valuable ingredient in many dishes and a crucial element of a healthy diet. Today there are approx. 6,000 varieties of plums registered. The major exporters are California and Chile. In Poland, both fresh and dried plum are well- known and they are often present on our tables as a compote. It is also ideal for use as an additive to meat, salads and desserts. All kinds of prunes are rich in trace elements and have a positive impact on the human body. They contain fibre, magnesium, iron, and are the source of various vitamins. 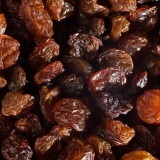 Raisins, that is dried grapes, are an excellent additive to many baked cakes, dishes and snacks. They are very sweet due to a large amount of sugar, mainly fructose. They are originally native to Turkey, Iran, the United States, Greece and Chile. 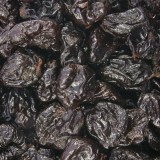 Raisins are rich in many trace elements, such as: fibre, protein, calcium, potassium, iron, zinc and magnesium. Therefore, they play a key role in healthy diet. Sweetened Dried Cranberries are now very popular form of a snack or an addition to various foods including baked cakes, desserts or dishes. Their unique taste can be described as harshly-sweet. The major producers of cranberries are the United States, Canada and Chile. 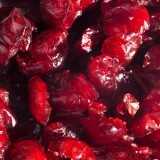 The product is available as whole and cut cranberries. According to nutrition experts, the cranberry is one of the healthy fruit leaders. Cranberries are rich in vitamin A, C, B as well as in fibre, calcium and phosphorus. It is mainly recommended for people with urinary tract problems. 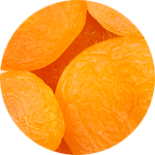 Dried apricots are much appreciated thanks to their flavour and nutritional values. Their place of origin extends through Central Asia to China. Today, the main exporter of dried apricots is Turkey. 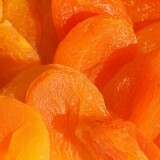 The health benefits of dried apricot include its ability to keep away from cancer and to increase anti-aging effects. It also has a positive impact on blood pressure, digestion and kidney function. They are highly recommended for people active in sports. 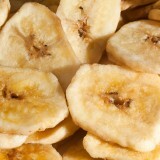 Banana chips are the fruits of banana tree that undergo the process of drying and cutting. They are produced in Philippines, China, Costa Rica, Brazil and India. Banana chips are ideal for use as an addition to muesli, desserts or as a snack. They are appreciated not only for their taste, but also for their nutritional value. They contain protein, fibre, potassium, magnesium, tyrosine, dopamine, and vitamins C and B6. They are ideal for people with active lifestyles. 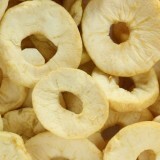 Dried apples are mainly used as a healthy replacement for potato chips. They are also used as an addition to tea, compote or salads. They are produced in European countries and also in the United States and China. Dried apples contain ingredients that can be used as a great supplement to a daily diet. Due to their richness in fibre, vitamins and antioxidants, they not only improve the condition of skin but also the function of digestive system. Dried peaches are very popular fruits all over the world, mainly due to their sweet and sour taste. They are often used as an additive to meat, salads, desserts and many other dishes. The major producers are China and South Africa. Dried peaches are extremely rich in fibre and beta-carotene. They contain zinc, phosphorus, magnesium, iron and potassium. The health benefits of dried peach include its ability to keep away from cancer. It also has a positive impact on respiratory system.